I recently returned from a two-month trip to Europe directing a university study abroad program in Vienna. I will be posting several interesting trombone-related items I found or experienced in the places we visited: Vienna, Budapest, Salzburg, Venice, Florence, and Rome. One of the highlights of the program was visiting Vienna’s famous Kunsthistorisches Museum (really a group of museums). 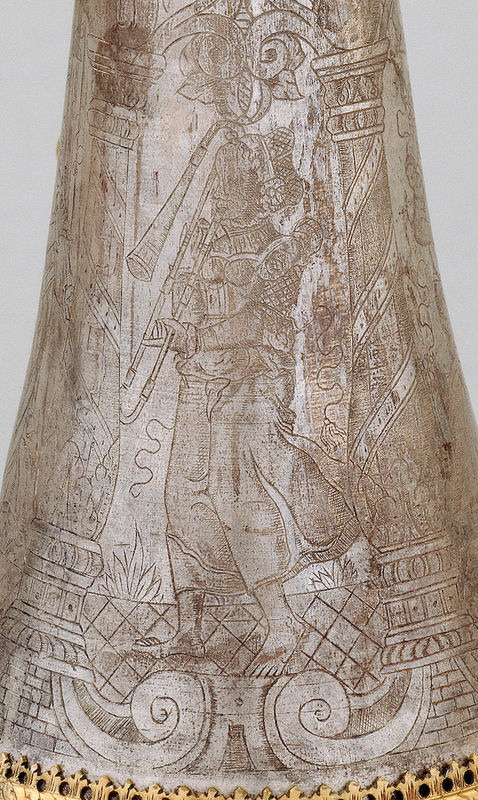 In the Kunsthistorisches Musical Instrument Museum, one of my students who knew I was interested in iconography pointed out a trombone player engraved on the bell of this 16th-century trumpet (see full image, above, and detail, below; special thanks to Richard Lyman). 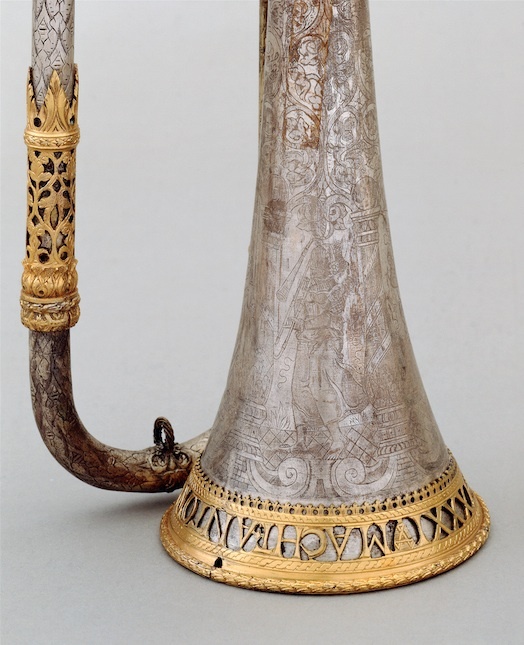 The trumpet, made by Anton Schnitzer in Nuremberg, dates from 1581. The player appears to be a woman, probably a symbolic depiction of a muse (notice also the classical columns on either side of the trombonist). I have also added the picture to the Trombone History Timeline (16th century).